Tone up. Get fit. Lose weight. Improve your health. Rebounding is one of the most enjoyable, effective, and time efficient ways to get fit, tone your muscles and lose weight. It is also recognised as one of the best ways to boost your lymphatic and immune systems. It offers a WHOLE BODY exercise where EVERY SINGLE CELL (in your muscles, bones, eyes, heart, lungs, skin, kidneys, ears, glands etc) is oxygenated and rejuvenated! Our ReboundSA programs have been approved with the SMART CHOICE Seal of Approval by the Cancer Association of South Africa. incurrence of colds, allergies, digestive disturbances, and abdominal problems. the capacity for fuel storage, increases the mitochondria count within the muscle cells, essential for endurance. the nervous system - resulting in and increased resistance to environmental, physical, emotional and mental stress. all the tissues - and where there is oxygen there cannot be disease. lymphatic circulation by stimulating the millions of one-way valves in the lymphatic system. (This system acts as your body's internal vacuum cleaner).
" Rebounding is the THE MOST EFFECTIVE EXERCISE YET DEVISED BY MAN "
WHAT MAKES OUR REBOUNDER DIFFERENT? 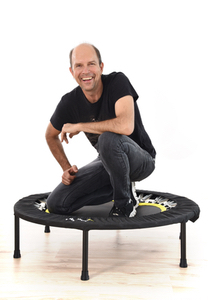 We have been Rebounding professionally for 15 years and feel confident in the fact that our knowledge on Rebounding and internationally through exporting our books & DVD's. 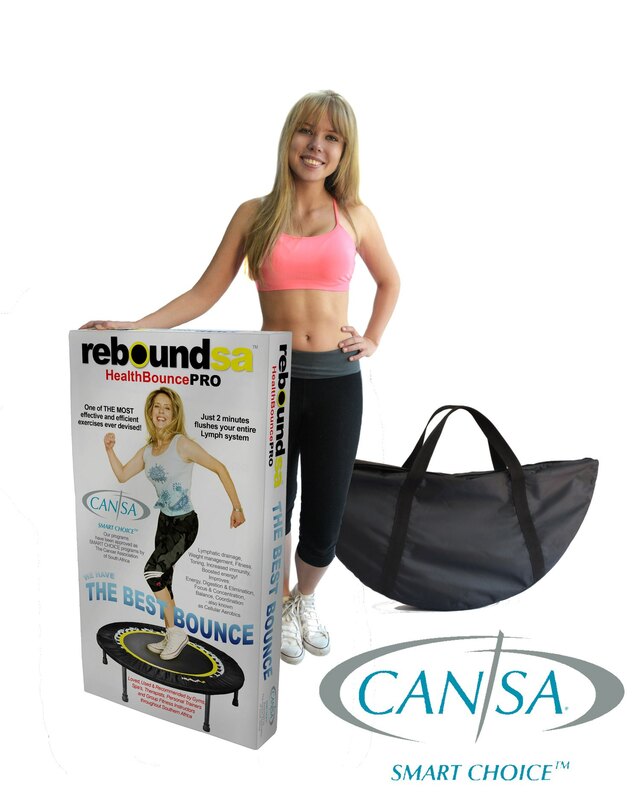 At ReboundSA we take the guessing out of it because we’re considered “Bounce Connoisseurs”! 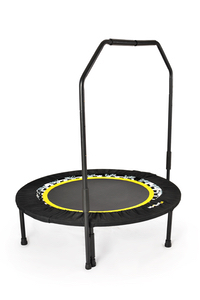 We only stock and supply Rebounders with the VERY BEST BOUNCE. With optional support bars, bright yellow mat edge indicator, fully comprehensive user’s manual for set-up, safety, tips, advice, how to bounce, maintenance etc. we've got you covered. 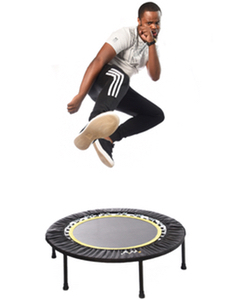 Our Rebounders are manufactured by a factory that makes some of the best high end units in the world! ReboundSA was established in 2007 and the majority of our sales are through word of mouth! We enjoy lasting relationships with everyone from individuals who purchase 1 rebounder, to gyms and corporates who purchase 100’s.
" Just 2 minutes of rebounding offers equivalent physiological benefits as: 6 minutes of running – 10 minutes of swimming and 22 minutes of walking! "